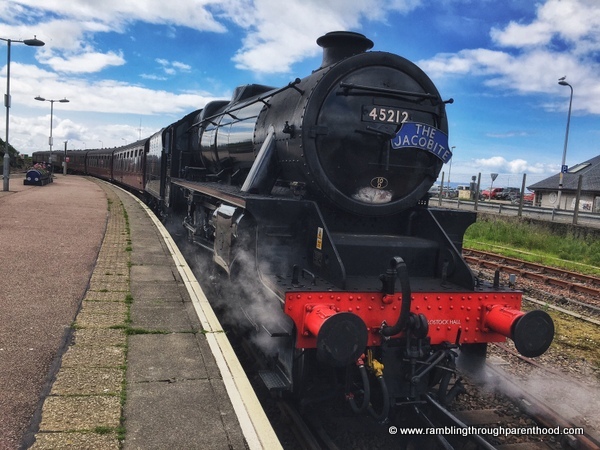 If you are a fan of Harry Potter, steam trains, trains in general, or if you appreciate a fantastic day out with or without children, then this is for you. 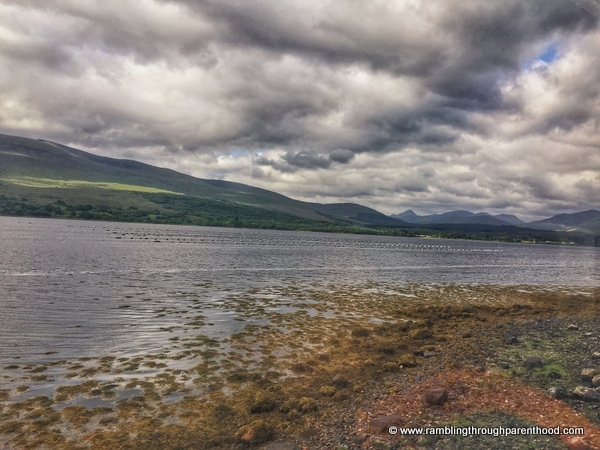 If you ever find yourself in the Scottish Highlands, do pencil in a day to enjoy a train ride from Fort William to Mallaig. It is widely regarded as one of the greatest and most scenic railway journeys in the world and here is why. There are two options, two ways to experience this spectacular train ride. You can book a ticket on The Jacobite, also known as the Harry Potter train because it looks very much like the Hogwarts Express. This is a steam train operated by West Coast Railways that runs during peak season only (spring, summer and a few days over Christmas). It gets booked up pretty quickly, so unless you book well in advance, the chances of getting a ticket are nearly non-existent. There is however, another option. 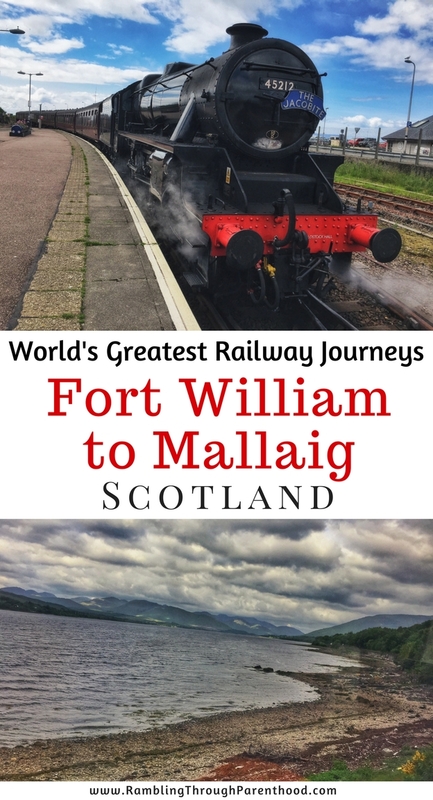 For those of you, who like most of our family, wait till the last moment to plan an outing, Scot Rail runs a service from Fort William to Mallaig every day of the year, weather permitting. Also known as the West Highland Line, this service operates from Glasgow all the way up to Mallaig and back. This is an excellent alternative if you are flying in to Glasgow and wish to make the scenic train journey. This is also a much cheaper alternative. You can book online in advance or at the station in Fort William on the day. Again, perfect for people who like doing things on the spur of the moment. When we visited Glencoe this year, we drove up to Fort William to make this scenic railway journey. We parked in the Fort William pay and display station car park. As I mentioned before, we purchased return tickets to Mallaig at the station on the day of travel. 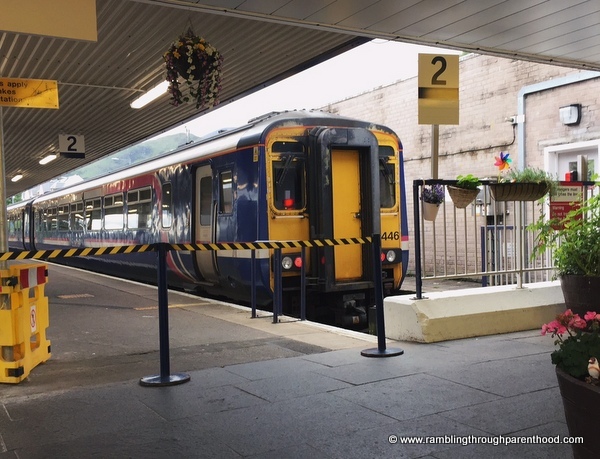 We went out on the 8:30 from Fort William, which meant we got nearly an entire day to spend in Mallaig (more on that later), and get the 16:05 back. The views out of the window are stunning from the outset. Starting with Britain’s highest mountain, Ben Nevis and the Caledonian Canal with its Neptune’s staircase just outside Fort William, the views fluctuate between rugged mountains and an undulating coastline as the train caresses the Road to the Isles (the A830). 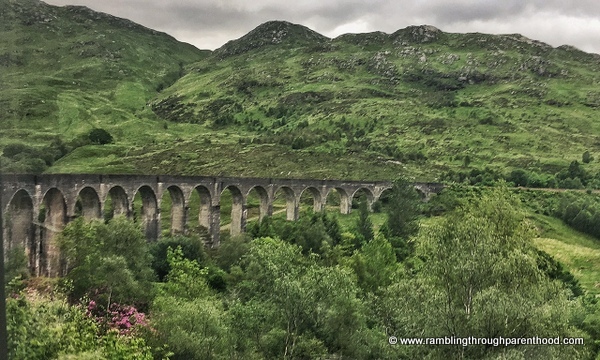 The highlight of the journey has to be the Glenfinnan Viaduct. This 21-arch bridge was made famous in the Harry Potter films, and is now a point of pilgrimage for Harry Potter fans. That, and the fact that it opens up to stunning views across the valley make it a visual extravaganza not to be missed. The train passes through the picturesque villages of Arisaig and Morar with its white sandy beach, before arriving at Mallaig. Spend the day sampling delicious fish and chips by the harbour or visit the art gallery across the road from the station. Whatever you do, don’t forget to pop back into the station around noon to watch The Jacobite pull in. Then hop on the bus that takes you to Morar and the shimmering Silver Sands. Spend time walking along the pristine beach. Marvel at the turquoise waters of the bay. Just keep an eye on the time, for it is mile to walk back to Morar railway station and the return train! A couple of things to remember. The best views out of the train are on the left side as you sit facing the direction of travel from Fort William. Choose a seat with the widest, biggest window on the left side if you can. And the bus service from Mallaig to Morar is infrequent. There is a bus stop on the main street outside the station, and you are best speaking to the driver to make sure you are on the right bus. Have you made this railway journey? Would you like to? Let me know in the comments below.